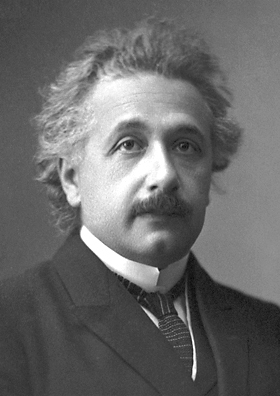 Albert Einstein is remembered as one of the greatest minds of history. His name has become a synonym for the word “genius” and to be compared to Einstein is considered as the ultimate compliment. If someone says this to you, then that means that they regard you as being a rare creative intellectually brilliant thinker. However Einstein faced many struggles towards becoming the genius that he later became. He failed several subjects in primary school and when he finished university, he was not accepted into any doctoral program. He also did not find any work in academia and instead had to get employment as a clerk in a patent office in Bern, Switzerland. Einstein did not let these initial failures stop him. He was driven and in many ways was self-taught, continuously learning throughout his life. His secret was to do things with such enjoyment that you forget the passage of time. You learn the most when you are enjoying what you are doing. His son took this advice to heart and became an accomplished expert in hydraulic engineering and the world’s foremost authority on sediment transport. This simple, but powerful advice can serve as the cornerstone of your learning and self-development. By finding things that you enjoy or learning to find ways to enjoy learning different things, you tap into the unlimited potential of intrinsic motivation. This type of motivation is the key factor that can drive you towards rising to the top of your field and becoming one of the greats. for adults the issue which I often find myself with is making the time, you don’t learn overly effective when in a rush. Today I actually just started my “new” schedule, where I go twice a week for 5 hours to the library after work to actually, think, read, learn and like here, share my thoughts on good articles. Wow 5 hours in the library 🙂 I also spend a lot of time reading books and stuff. It opens up the world for you and gives you ideas, which you can then combine with other ideas from other books, in order to arrive at a whole new level of understanding.